Meeska Mooska, Mickey Mouse! Our nephew, Dylan, was obsessed with everyone’s favorite cartoon mouse. 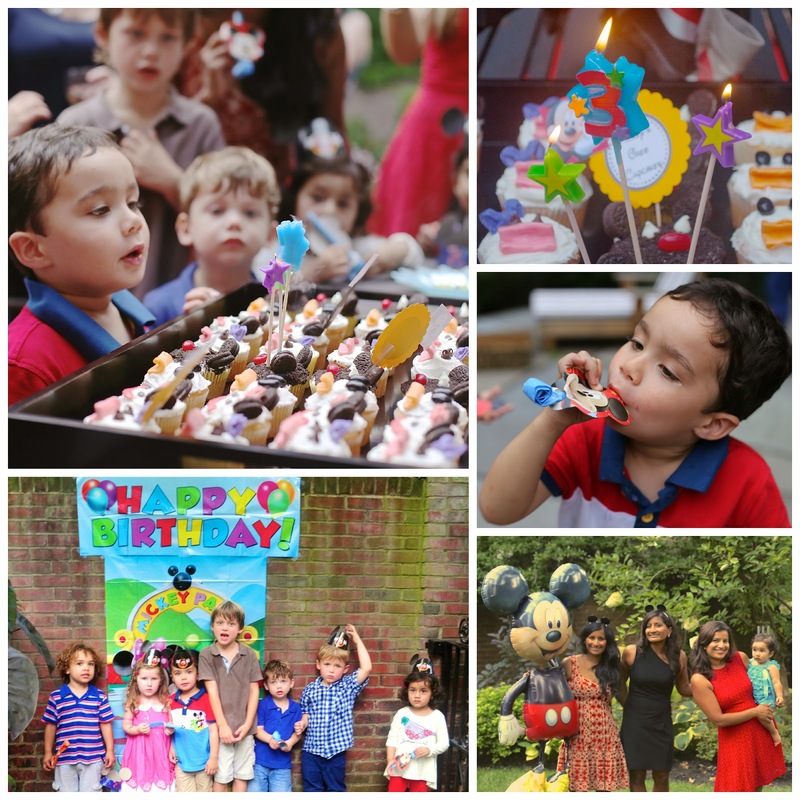 For his third birthday, we decided to bring the magic of Disney World to his backyard. We used decorations, food and drinks to bring the Sensational Six to life. Mickey even made an appearance at Dylan’s Clubhouse! 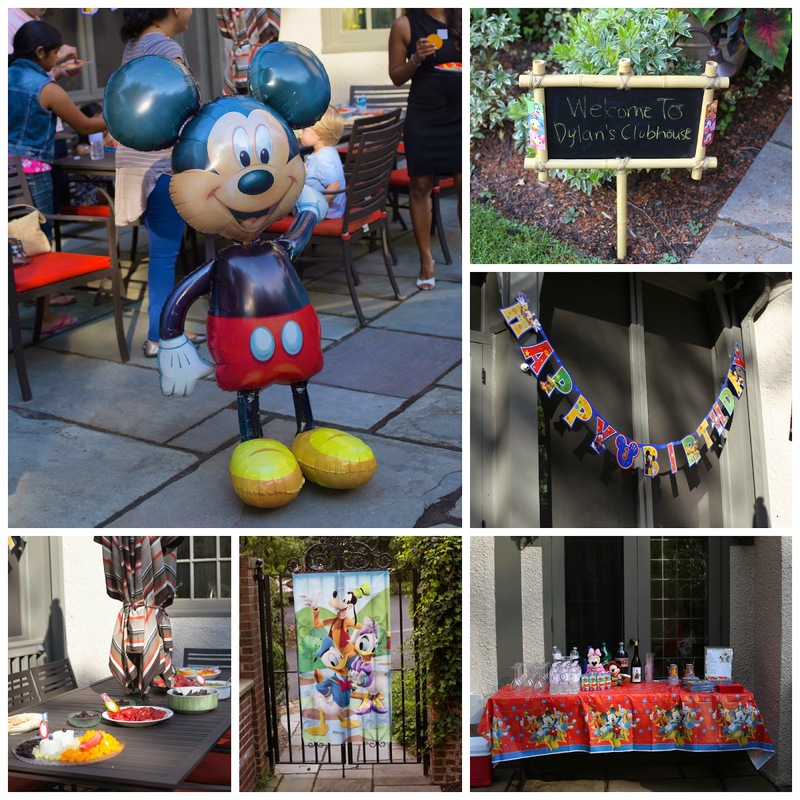 We incorporated Mickey’s traditional colors of red, white, black and yellow into our decor. We posted a bamboo welcome sign at the entrance of Dylan’s Clubhouse. We hung an adorable Sensational Six Happy Birthday banner above the buffet and scattered Clubhouse wall decals throughout the yard (these made for excellent photo opportunities). Party City created our balloon arrangements with a Mickey mylar ballon and latex balloons in our color palette. 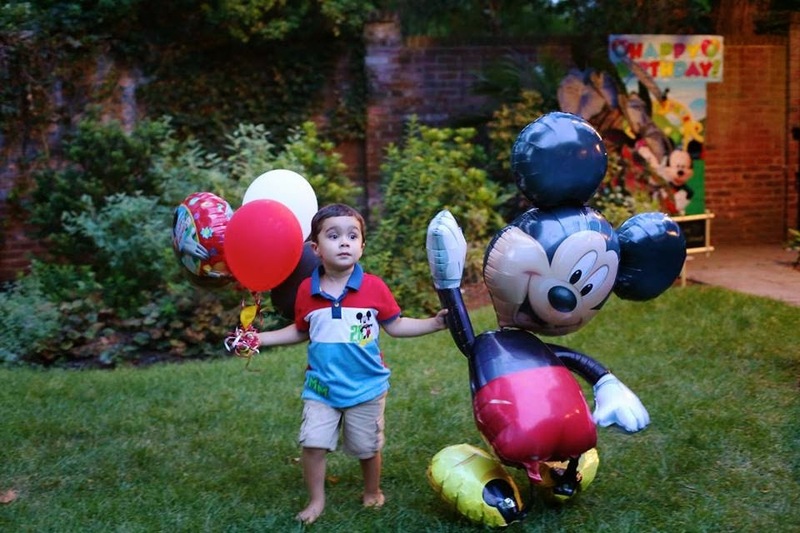 A life size Mickey balloon is a must have addition to any Mickey themed party. The kiddos loved chasing him around and the adults enjoyed taking pictures with him! We placed a bright red tablecloth featuring the Sensational Six on the bar. 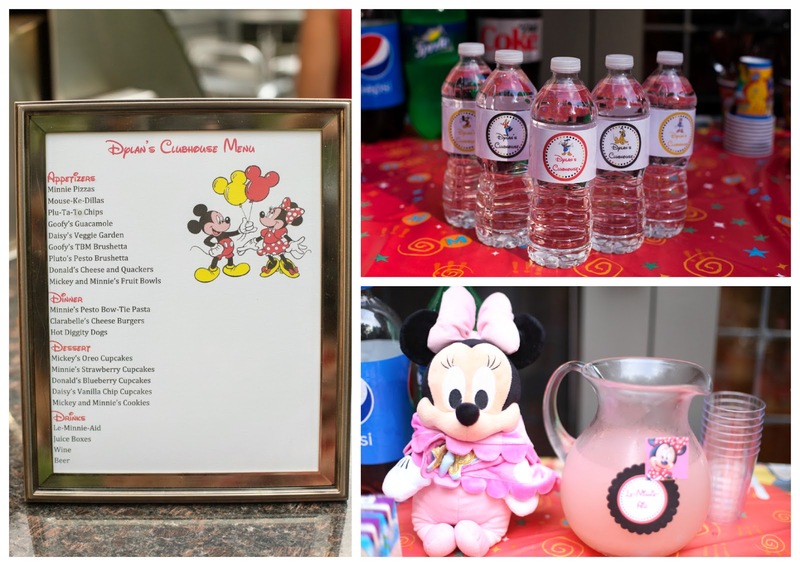 We served Le-Minni-Aid and juice boxes for the little ones as well as wine and beer for the adults. We also created custom Dylan’s Clubhouse water bottle labels. Water bottle labels are expensive. We printed our labels on white cardstock and then used clear packaging tape to secure the label. Just be sure to remove the old water bottle label before adding the new one. We actually found this method easier to execute than using actual water bottle labels! 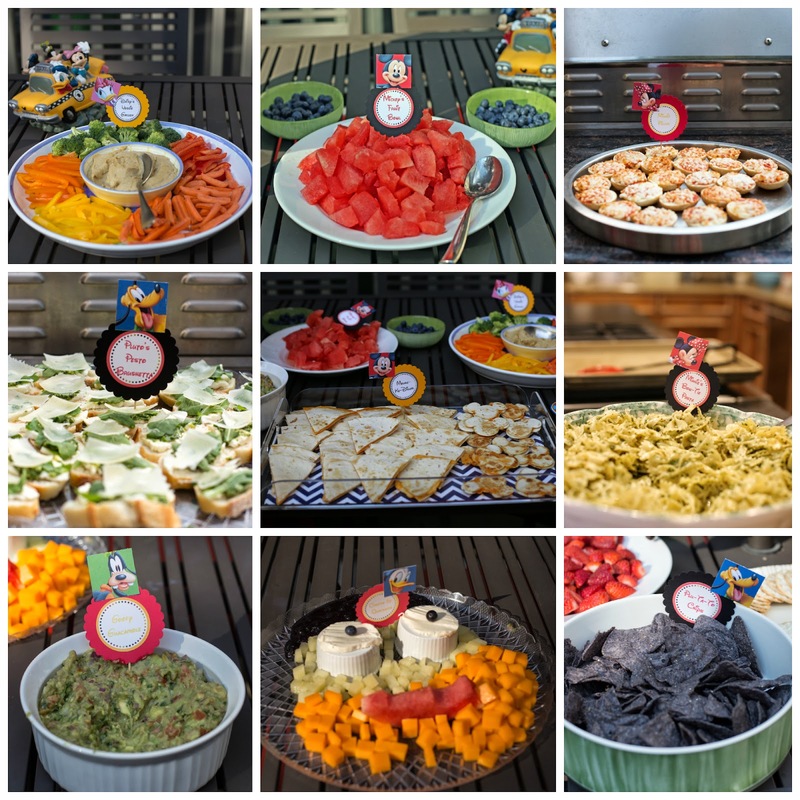 Dylan’s Clubhouse menu was inspired by the Sensational Six: Mickey and Minnie’s fruit bowls, Minnie pizzas, Mouse-Ke-Dillas, Plu-Ta-To chips, Daisy’s veggie garden, Goofy’s TBM bruschetta and Donald’s cheese and quackers. With just a little bit of creativity and a lot of bowls, we were able to shape some of the food into mouse ears. We used Mickey cookie cutters to create the Mouse-Ke-Dillas. We served them with Paula Dean’s amazing salsa recipe and Goofy’s guacamole. The Mouse-Ke-Dillas were perfectly sized for little hands. We used Michael Chiarello’s delicious pesto recipe to make Pluto’s pesto bruschetta and Minnie’s bow-tie pasta. Guests also enjoyed burgers and Hot Diggity Dogs! Baked by Archana created all of the yummy desserts. We served 4 cupcake flavors: Mickey’s oreo cupcakes, Minnie’s strawberry cupcakes, Donald’s blueberry cupcakes and Daisy’s vanilla chip cupcakes. We love making 3-D cupcakes. 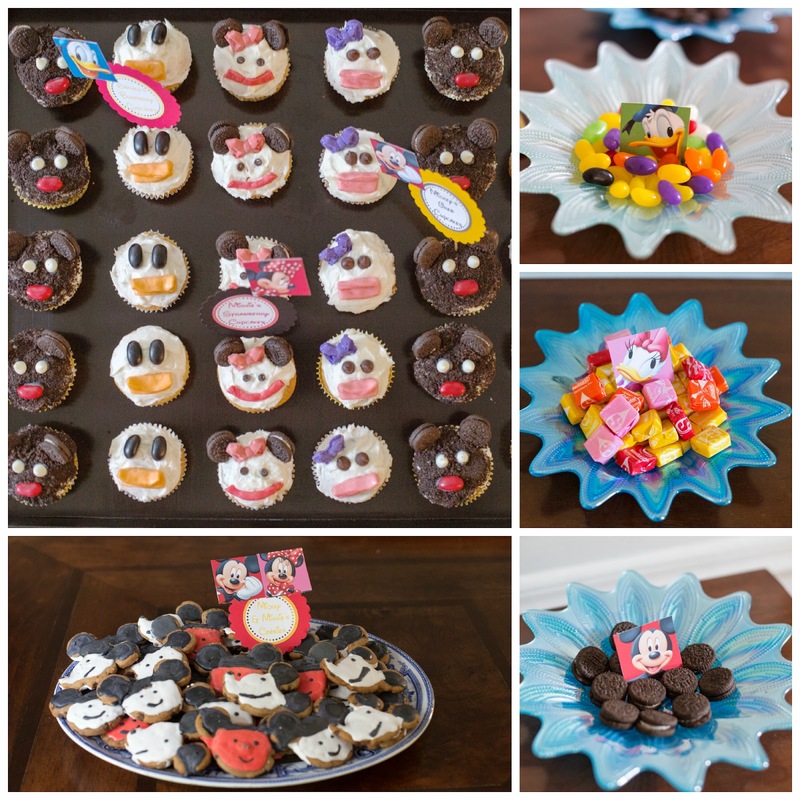 We used mini-Oreos for Mickey’s and Minnie’s ears and Starbursts for Donald’s and Daisy’s beaks. We created Minnie’s and Daisy’s hair bows with melted white chocolate, food coloring and candy molds. We used jelly beans and chocolate chips for eyes and noses. We also made Mickey and Minnie sugar cookies. The children loved their Mickey hats and party blowers. 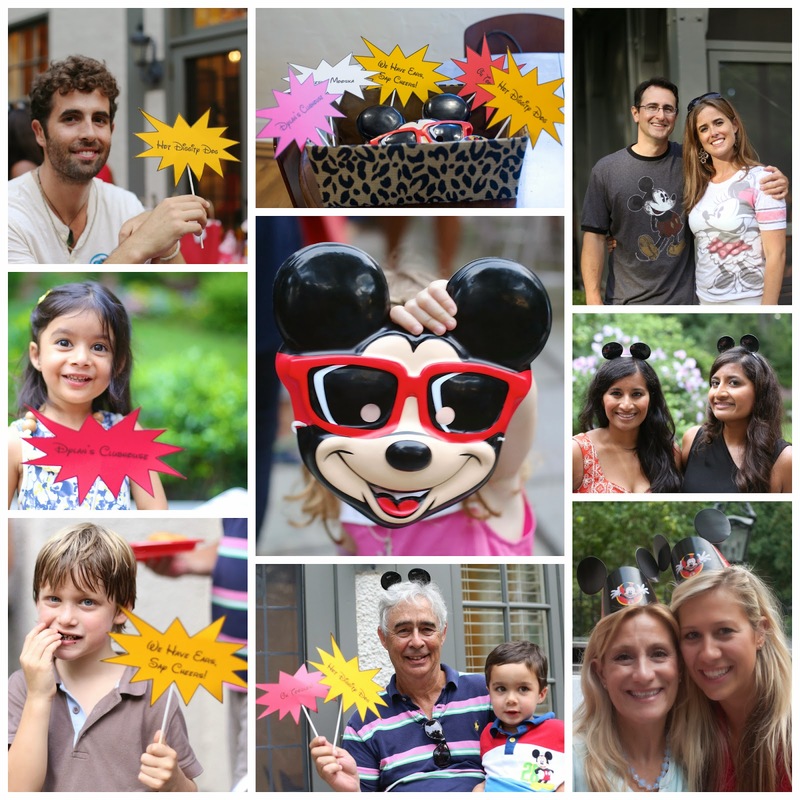 The photo booth was a fun addition to the birthday party and captured all of our Mouseketeers. Clubhouse props included mouse ears, a Mickey mask and whimsical signs: “Dylan’s Clubhouse,” “Hot Diggity Dog,” “We Have Ears, Say Cheers,” “Meeska Mooska” and “Oh Toodles.” The children AND adults enjoyed taking these goofy pictures! Oh Toodles! We found paper bags in our color palette at the dollar store. We included Mickey and Minnie coloring books, crayons, bubbles and stickers in the gift bags. We placed an “Oh Toodles” tag on each gift bag, which we secured with an adorable red, yellow and black Mickey ribbon. 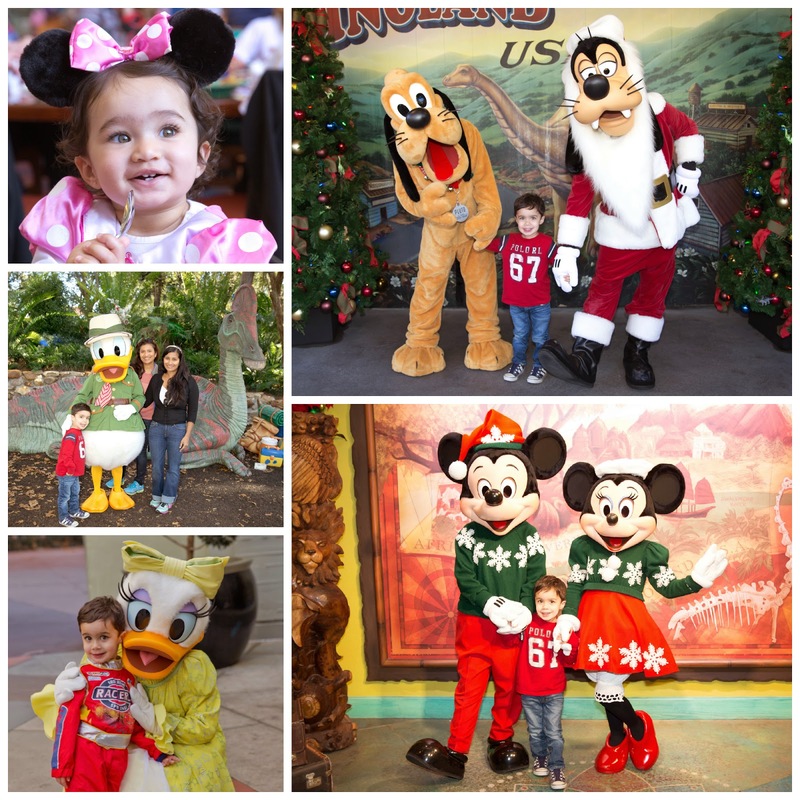 A few months later, we took Dylan and his baby sister, Keira, to the Magic Kingdom. He had a blast meeting the Sensational Six in person! Previous Post Uptown Funk You Up!